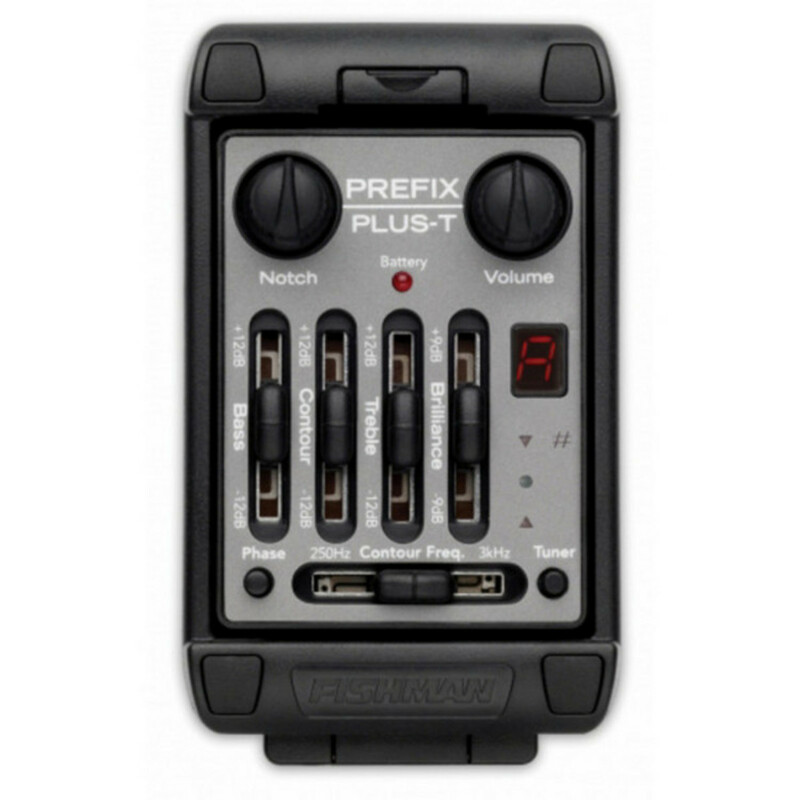 The Prefix Plus-T Preamp has all the key controls within easy reach. Boost the Bass to add depth and weight to your guitar sound or use the Middle knob to create a smooth scooped out or bite to the sound. Boost the treble to cut through the mix or cut it to mellow and subdue the sound. The Brilliance slider can add shimmer and sparkle to your sound or reduce finger noise and fret buzz. The Notch filter can also remove low-end feedback. The handy chromatic tuner accommodates all standard and alternate tunings and mutes the output when engaged, perfect for mid-gig tune ups! It can also be activated without an instrument cable connected. For more information on the Fishman Prefix Plus-T Onboard Preamp please download the user guide below. To read more on the installation of the Fishman Prefix Plus-T Onboard Preamp take a look at the installation guide and template below.